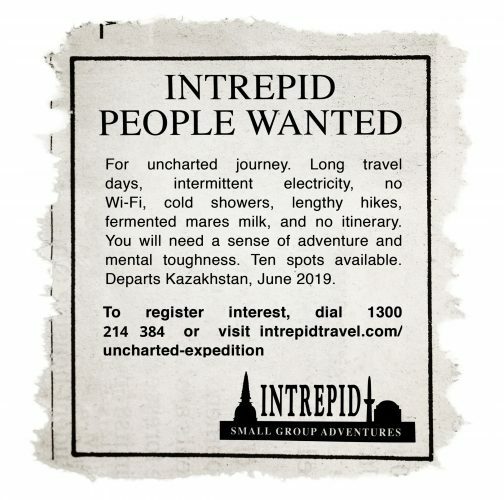 Intrepid Travel has gone back in time and is placing classified adverts for a new ‘mystery expedition’ to places that yet mapped by Google. The old-school style of adverts is a nod to the company’s original expedition taken almost 30 years ago. Intrepid Travel co-founder Darrell Wade said of the campaign: “When we first started out and we wanted to go somewhere new, we’d place a classified ad in the newspaper, calling for intrepid people to join us on research trips.